I just got an HP T5730 and was hoping to use some of the suggestions on this forum to use it with my MJ. It is new, never used. I trust the guy it came from. No box or docs other than where to mount it, etc. Got it from the public library and the supervisor told me that there is some kind of hardware registration involved with setting it up. In bios it is not showing any flash (value of "0"). I opened it up and am not sure which component is the flash, but it looks just like any pics I could find via Google. I've searched this forum and Googled all afternoon and can't find any info that applies. Went to the Thin Client Forum courtesy of PTravel but something is wrong there, can't get past the first page; none of the links work. HP site does not mention (at least I can't find it) a registration process. I'm wondering if this "registration" is needed for the flash to be recognized by bios????? Other than reading stuff you all have written I am new to this devise. No we're not at the edge of the earth, but I can see it from here. The flash is a small pcb about 1" x 2" with a 44 pin laptop-sized IDE connector on one side. The IDE slot for the flash is right at the end of the PCI expansion slot, in the corner of the motherboard. You can get a replacement off eBay, TigerDirect, or other places for around $25 or so, if yours is missing. I just got a T5730 too, but am not going to keep it. I opened it up to check what sort of flash it uses. Sorry I can't help with the image installation, I've never done that on an HP unit. I don't believe there's any registration required to use the box or install a fresh image, but someone will correct me if I'm wrong. I'd expect if the bios isn't showing an installed drive, yours is missing. By any chance could you take a look at your thin client and tell me if there's a Windows XPe COA sticker anywhere (on the case or the pull-out sticker tab)? Mine doesn't have one and I've gotten mixed information about whether there should be one. Actually I have several of these and none have stickers at least on the outside. I have a neoware apart on the bench and it has a sticker on the flash board. By the way you are right, the flash is missing on the 5730. I purchased a brand new HP T5710 three years ago in a sealed HP box and mine had no sticker. You don't need to register them like Windows XP or Vista or 7. No CD Key needed. You can just get a new copy of xpe from the HP web if needed. When I opened up the 5730 I found no sticker inside either. Do they put them on the flash? I'm new to these thin clients so all is a learning experience for me. All my documentation is in reference to using them as work stations, not stand alones. I have ezRemote manager on an XP desktop. Was trying to view/change the properties etc. but the passwords they gave me do not access the TC. The TC's do show up as being on the network. I'm wondering (as a complete newby on these) if I can format a flash and start over installing XPe. If so can it be done without knowing the Admin password? 1) To gain access to the Administrator account so you can make changes you’ll need to hold down the shift key and go to the Start button and select log off. Keep the shift key depressed and the TC will then present you with a normal log on box. 2) In this logon box enter Administrator as both user and password. The TC will then log in as Administrator. 3) Next go into control panel and go to the "HP Login Manager". Change the Default User Name to Administrator and the Default User Password to Administrator as well. Just leave the Default Domain blank for now and click OK.
4) Now go to the EWF Configuration in control panel and select “Commit Data to Volume”. This will make the changes to logon on as Administrator persist; otherwise if you just rebooted the TC would revert to the setting you had at the last boot up. This is what EWF is all about. Any changes you make are just temporary when EWF is running and do not get permanently entered into the c: flash drive’s data unless you instruct EWF to do so by committing data to the volume. Ok so we have now set the TC to auto logon as Administrator and made the settings permanent. Now you can go to the start button and select restart. The TC should restart and log back on as Administrator automatically. Odd difference, all the Wyse TCs I've seen have the COA. HP support also apparently doesn't know there's no COA, not that that surprises me. It's not on the flash either, just an Apacer sticker. With the Wyse TCs, installing a fresh image overwrites any existing Windows passwords and replaces the admin with their standard default password. I'd expect the same to hold for the HP, since the password is a Windows feature. There's some sort of authentication built into the install, but it's in an accompanying file that installs, and doesn't require active authentication or reference to an external license number, like a regular XP installation. Disk formatting is part of the Wyse install as well, probably the same with HP. I think I tried that a few days ago. I'll try again tomorrow. I think that since they changed both admin user name and password it didn't work. It's not on the flash either, just an Apacer sticker. Not sure what an Apacer sticker is. installing a fresh image overwrites any existing Windows passwords and replaces the admin with their standard default password. Is that booting from usb to install? Anyone ever use ezRemote manager to do this stuff? Apacer makes flash modules for Wyse and HP. I mostly use the Wyse networked installer, but the usb boot-installer does the same thing. The method of installation is to overwrite the disk with an entire image, not just selective files, so any OS-level settings like admin or user passwords or other information is overwritten. I think with Wyse, even the BIOS is overwritten. It should work the same with the HP. I'm not an IT person, but I've been able to make this work by just accessing info on the net. Apacer makes flash modules for Wyse and HP. I mostly use the Wyse networked installer, but the usb boot-installer does the same thing. Sounds like Wyse networked installer and ezRemote manager may be similar. I thought I tried this last week, but I think I was using the user/password that the library told me. I just tried again using Administrator/Administrator and it worked! Thanks to all you folks including Vaham. Thanks again to all. 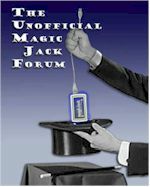 Got Magicjack working on a Neoware TC.